This tutorial by user Rudraraj shows us how to get swap file added to FreeBSD 10.1. 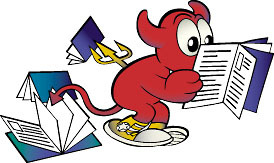 In this post, we will see how to add swap file in FreeBSD 10.1. A swap area comes in handy if you are running a system with low memory. However, It is strongly recommended that you add up more physical memory (RAM) if possible. Because swapping degrades the system performance in the long run and also these days memory modules have become cheap so adding up memory should be the ideal choice. The md(4) device md99 is used, leaving lower device numbers available for interactive use. Please note the option ‘late‘ defined in the above ‘/etc/fstab‘ entry. This is done as a workaround to do away with a bug as reported here (https://bugs.freebsd.org/bugzilla/show_bug.cgi?id=195326). Thats It…!!! We are done…!!! !